If you Need Intraoral Photography in Elm Grove, Dr. Max Meinerz & Dr. Kyle Krueger of Honest Teeth are here to help. Regardless of your circumstances, our dentists have the dental expertise you need to get fantastic care. Intraoral photography is a specialized type of digital photography used by dentists. It gives Dr. Max Meinerz and Dr. Kyle Krueger a close-up view of your mouth. This allows for a number of benefits including better diagnoses and treatments, and more comfortable dental prostheses. At Honest Teeth, we use only the latest digital photography techniques and devices to provide you with the very best dental care. Find out more about intraoral photography below. 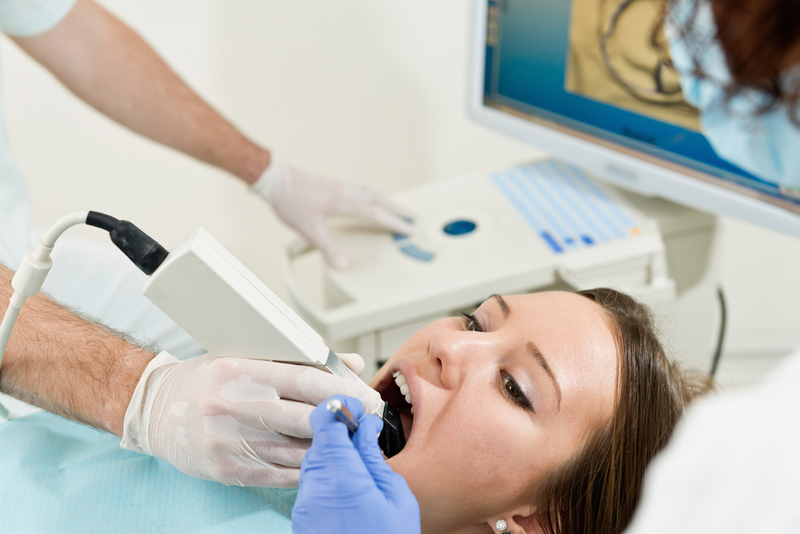 A small camera sensor is used to give the doctors a panoramic view of your entire mouth. This sensor is about the size and shape of a dental mirror, making it easy to use, and comfortable for patients. It includes a built-in light source, which allows for proper illumination of every area of the mouth. In addition, it can be used to take either videos or still pictures. A display allows Dr. Meinerz and Dr. Krueger to easily assess the high-quality photographs and video. This display also allows our team to quickly diagnose issues like damaged teeth, plaque deposits, gum deterioration, cavities, and failed dental work. These pictures are saved, compiled and added to your medical records, so Dr. Meinerz and Dr. Krueger can keep diligent records of your oral health. Since the images are digital files, they can be sent to your email, to specialists, or your insurance company to help streamline the referral or claims process. What Are The Benefits Of Using Intraoral Photography? There are many benefits of intraoral photography, so we’ll just discuss a few of the biggest ones here. Better record-keeping – With regular visits, and in turn regular intraoral photographs, Dr. Meinerz and Dr. Krueger can easily track your oral health. Previous photos can be compared with current photos to identify issues like periodontitis, tooth decay, or even problems like oral cancer. Comprehensive photos also make things easier if you ever have to switch dentists or are referred to a specialist. Your healthcare provider will get all of the information they need in order to understand your oral health history. Higher resolution for better diagnostic capabilities – The high-resolution camera captures more detail than the naked eye can see, even with magnification. This makes it easier to get a clear look at each part of the mouth and take close-up shots to detect hard-to-identify dental issues. Keeps you in control of your oral health – Intraoral photographs help our doctors explain dental problems and the most effective procedures, helping you better understand what might have caused the issues and how to treat them. Come To Honest Teeth Today For Advanced Oral Care Services! At Honest Teeth, Dr. Meinerz and Dr. Krueger always invests in the latest oral care technology to ensure the best possible level of patient service and care. That includes our sophisticated oral cameras and laser treatment options. So don’t wait, and don’t miss out on the benefits of advanced technology at our dental practice in Elm Grove. Contact us now for an appointment at (262) 784-7770, or drop by in person at 15255 Watertown Plank Rd. STE 100, Elm Grove, Wisconsin 53122. We’ll see you soon!